Mold spores are constantly present in indoor and outdoor air, most times carried by wind in search of perfect conditions for growth. For spores to develop into mold, a source of moisture, nourishment (food source) and often temperature are required. All building structures are at risk for potential related mold growth including homes, commercial and industrial facilities. The most common underlying sources of mold are related to leaky roofs, maintenance issues, plumbing problems, and of course, flooding. 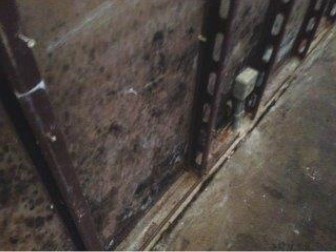 If any of these issues have occurred, it is important to have the home or building assessed for mold. United Analytical Services will complete a thorough assessment of the home or building to determine the location(s) of mold growth and the source of the moisture. If mold is found, the collection of air, surface and bulk samples and subsequent analyses may be warranted to best assess and determine an appropriate response action. 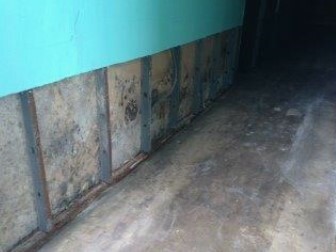 Oftentimes, mold and water damaged building materials cannot be easily remediated, without first addressing the underlying source(s) of the moisture that led to the mold growth. For larger or more sensitive areas and locations, a proper remediation plan that instructs removing the mold with the most effective processes and procedures for your home or office building is warranted. United Analytical Services will oversee the remediation process ensuring the proper procedures are being followed. If you need assistance deciding which remediation company is best for your project, let us know. We know the best questions to ask and what to listen for in the answers. Once the mold is removed and the conditions for mold growth have been corrected, United Analytical Services will complete a post-remediation inspection for quality control and re-occupancy. We will conclude which sampling inspection is best to determine any potential presence of mold. These samplings can include visual inspection, bulk sampling, surface sampling and/or air sampling. Our staff of professionals led by Dr. Kevin E. Aikman, Ph.D., C.I.H., FAIHA, have worked with homeowners, schools, universities, hospitals, state facilities and various commercial and industrial properties assessing mold and developing remediation plans to ensure its proper eradication. Whether your mold concern is a small, targeted/focused inspection, a comprehensive inspection, a real estate transaction, an emergency response following a flood, an employee complaint or post remediation verification, UAS can assist you. Contact us today to identify mold and create a mold mitigaiton design and plan.